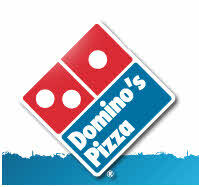 Domino’s Lisburn on Longstone Street is open every day until late - perfect for lunch, dinner or a late night snack. Why not take a break from cooking and order a delicious, hot pizza delivered direct to your door? You can view the menu and order online now. Whilst you’re there why not sign up for our new text ordering service? Now getting your favourite Domino’s pizza is even easier. In the mid 1930s, Colonel Harland D Sanders bought a motel and café in Corbin, Kentucky. Despite having tried his hand at several kinds of work – from railroading to operating a steam-powered ferryboat - Colonel Sanders loved to cook and was always experimenting with various combinations of seasonings. So even though there was nothing new about fried chicken, the Colonel found a way to combine 11 herbs and spices with flour to create a finger licking’ good coating. The Colonel’s business and reputation both flourished at a time when most businesses were struggling, but he was forced to sell his burgeoning restaurant when a new Interstate Highway was built through his property. So, at the age of 66, Colonel Sanders found himself travelling the country with his special seasonings, his pressure-cooker and a new plan: franchises. Pizza Lisburn Take away and Delivery fast food Where Good Food Matters! 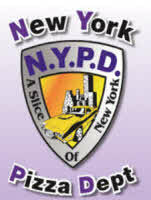 For the best pizza’s and fast food take away or delivered in Lisburn you must come to NYPD Lisburn. We have a reputation to keep,so we set our standards high,only using the finest freshest of ingredients for our pizzas, pastas and fast food. We pride ourselves on our excellent service and quality, as well as our delicious food. Our pizzas are all hand-tossed and cooked in a stone base oven, the unique stone base delivers an intense heat which absorbs any moisture, ensuring your pizza has a crisp base right from the centre to the crust all our food is only cooked to order and we are generous with our toppings. Our pasta dishes are homemade. We provide quality meals at a reasonable price and we use only the freshest ingredients,which are delivered daily to our Shop! Our family dinners will satisfy your entire family.. Then I suppose if you are one of the many regulars you’ll know exactly what I mean! … We offer a wide variety of meals from our menu!